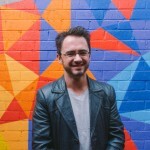 Leigh is the Founder of DataCraft Digital, a Melbourne based PPC, SEO and Analytics Agency. Leigh is a highly skilled digital marketing and analytics professional, having worked both in-house and as a consultant across a wide range of businesses since 1999. Leigh began his career in web analytics, working in Melbourne, Singapore, Japan and New Zealand, before taking a role at SEEK where he managed SEO and Paid Search. After SEEK, Leigh worked as Head of Marketing for RetailMeNot.com. Leigh has been running his own agency since 2012, helping businesses large and small execute digital marketing campaigns, SEO and conduct behavioral analytics. Leigh has a passion for search engine optimisation and loves taking an analytical approach when creating solutions for his clients.